Did you know that deer have horrible vision? They rely primarily on their sense of smell and hearing throughout the day. Because of their terrible vision, Capital Fence and our partners at Deerbusters recommend adding white warning banners to all Deer Fencing. Deer Fencing blends into the background of your yard making it nearly invisible to the human eye. Deer, who have -20/40 vision, won’t see your fence until they have run right into it. If your yard is an area where deer routinely travel, a new fence will not be expected, the white warning banner acts as a signal that the deer can actually see. A white warning banner blowing in the wind mimics the movement of tail of a whitetail deer. Deer show the whites of their tails as a signal to others that danger is near. 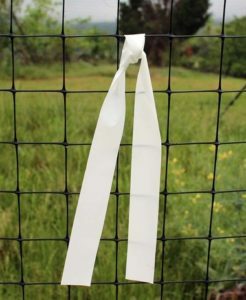 Avoid adding warning banners to the top of the fence, it will only allow the deer a gauge of how high they need to jump to get over your fence. Preventing deer from running into your fence will head off potential damage to your fence. 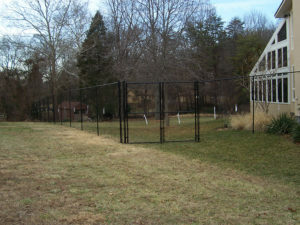 Speak to a Capital Fence salesmen to learn more about keeping deer away.